Over the holidays I had a bit of time to 'play' with the kids and this one especially was keen on trying Millie. He knew exactly which fabrics he wanted to use, and how he wanted them assembled. He was an expert from the start. Relaxed, focussed, and he knew what and where he was going to run those stitches. 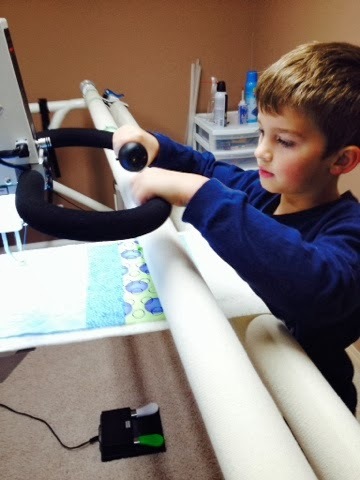 I was equally impressed with how he caught on to using the controls of the machine. I was not allowed to help. So we practiced saying, toggle blue, toggle green..and away he went. 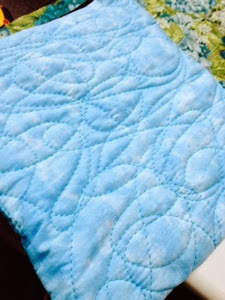 He chose the colour - Aurifil 50wt in a turquoise blue. As I opened the drawer of thread, he gasped at all the colours and zoomed directly to the colour he wanted. No second guessing at all. I know right? 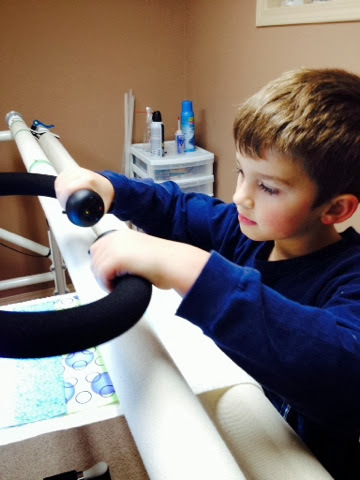 Like mother like son....thread candy! 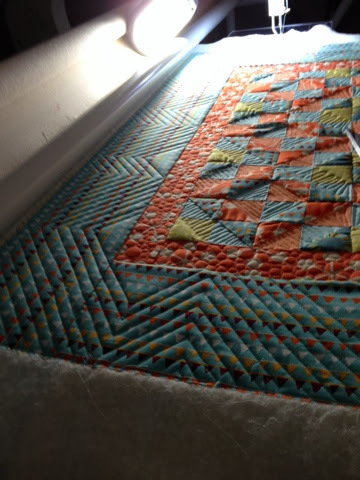 Can you imagine his reaction in the Aurifil Warehouse? And even though it looks like someone scribbled the design...he really thought about filling the space and keeping the curves nice and rounded and flowy. 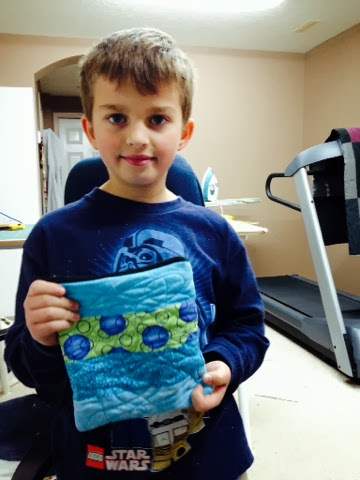 I made his little sample piece into a zipper pouch for his handheld device. I am so not a garment, bag, pouch sewer. such a project reminds me of this always. 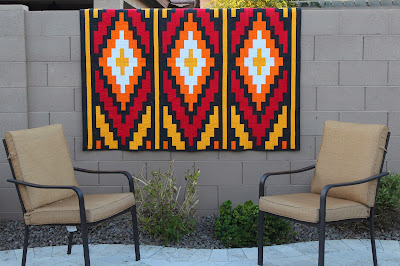 I did the same project with my other son. It is remarkable at how different this experience went. How he had no interest in being part of the camera action. 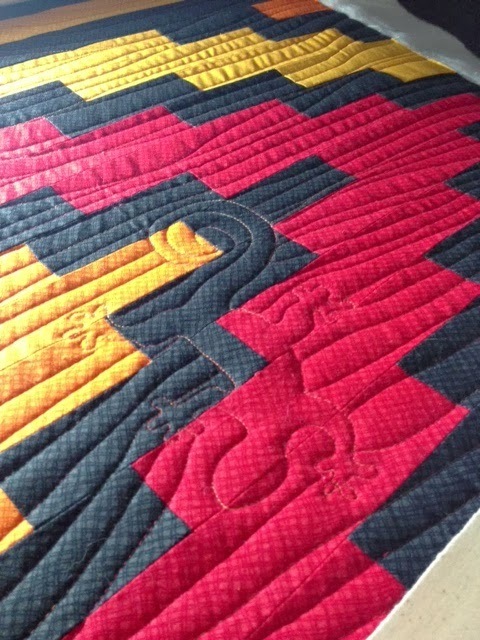 How he had little patience and was indecisive of fabric and thread colour. 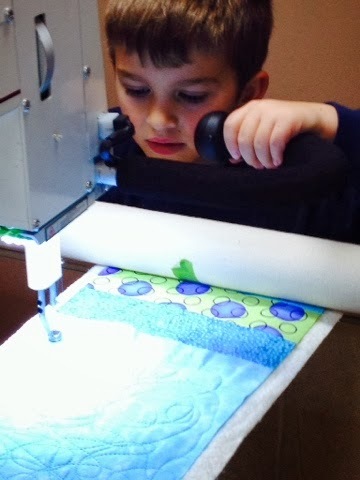 And how with his experience, I learned that my mag wheel adjustment from a few months ago is slightly incorrect - when the cutter is activated, it catches and jams on the needle - meaning, I need to re do my mag wheel adjustment and possibly retime my machine again. ARGHGHGHGHGH! All for the love of my kids, right? And you thought my story had a happy ending!!!! 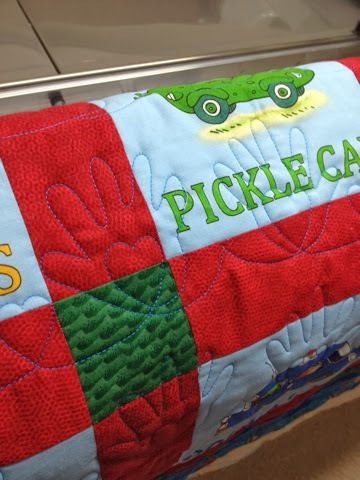 This one was just a buttery soft flannel yardage, batting, and minkee batting that someone was making as a snuggle blanket for the kids. So soft, a perfect quick gift for someone! Free hand loops, swirls, stars and hearts. 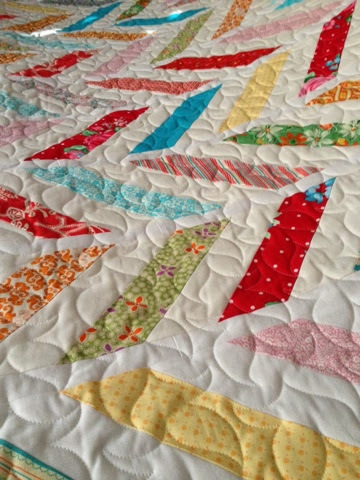 A beginner quilter made this lovely quilt for her daughter as a gift - with minkee backing. Minkee on anything just makes it so much more luxurious! 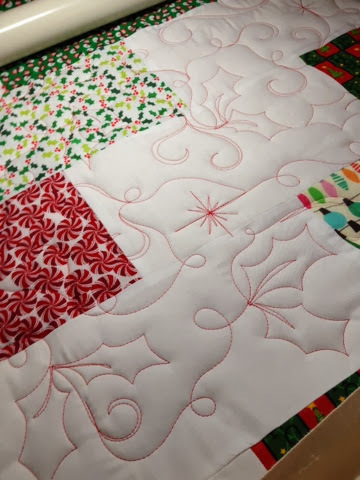 Freehand loops, snowflakes, swirls and holly leaves. 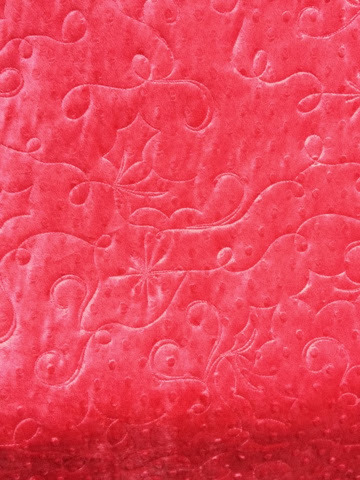 minkee backing....stitching patterns turn out so well with this fabric! A sweet quick baby gift - do you remember these Richard Scary books from the 70's or am I the only one that remembers searching for the 'gold bug' on each page!? Finally, if you are looking for a last minute gift idea for yourself or a fellow quilter, these snips are amazing. 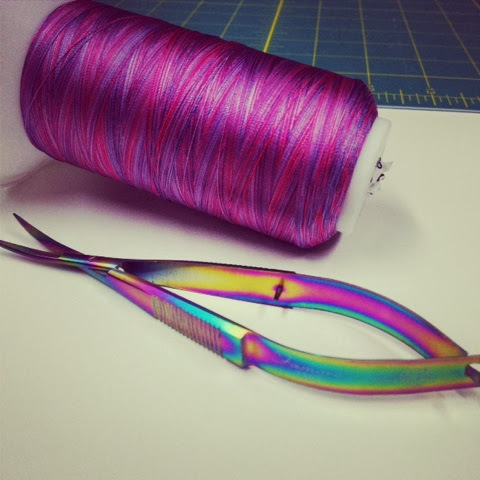 (famore cutlery, aurifil poly thread) Plus, they are rainbow finished metallic. Super cool! 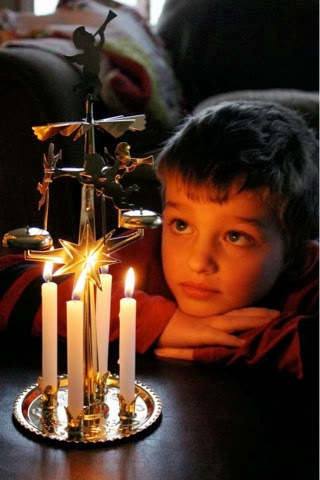 Wishing you all a lot of love, happiness and rest during this holiday season. Spend lots of time doing nothing, being lazy, slowing down, and enjoying the extra moments of nothingness that the rest of the year doesn't always bring us. 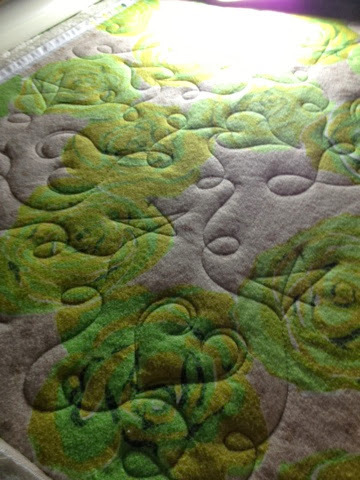 It seems the busier I get with quilting on my longarm, the more I forget to take photos and to post photos of my work! 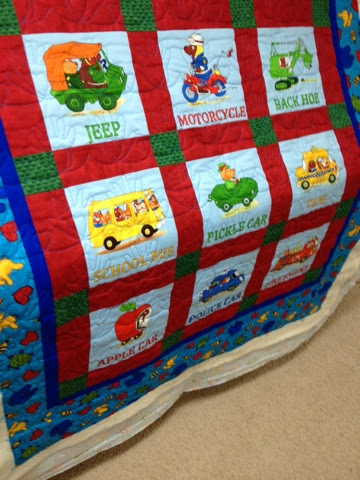 I have done many quilts lately, and have taken only a handful of photos when I remember to. That will be my new years resolution - post more of my work! 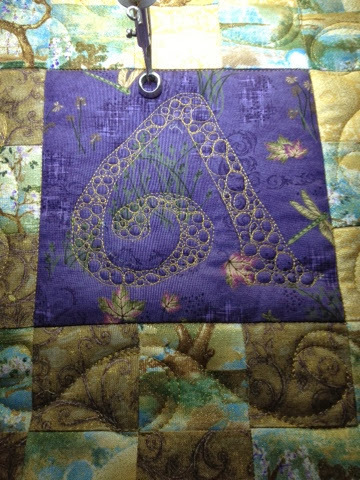 A customized letter A in a celtic font for a client- little details like this make a quilt really special! 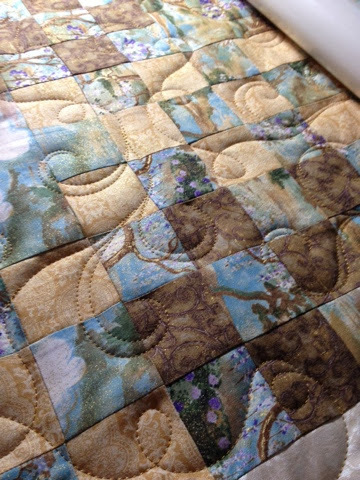 Something that always makes me giddy and satisfied is when people email me back with a followup comment on quilting work or send a photo. 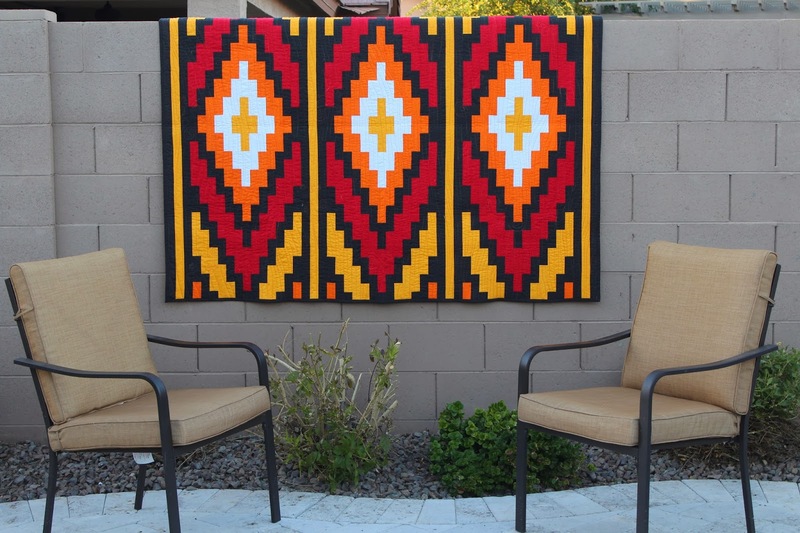 This gorgeous southwest style quilt was one I did a few months back, and I received this gorgeous photo of it on display in the recipient's garden. 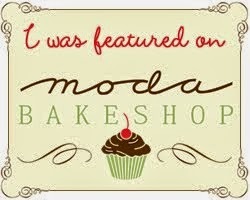 I'm sure my clients don't realize how happy it makes me feel with these little things...but I really love it. 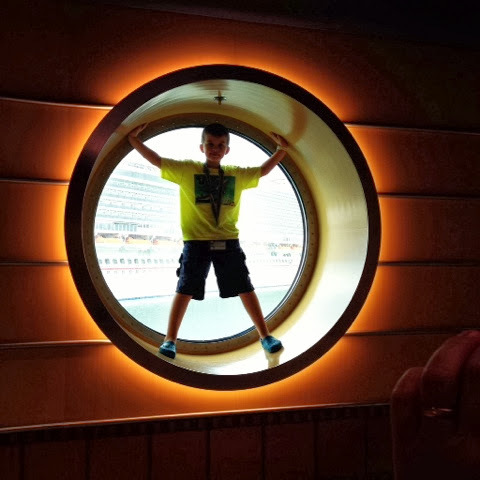 My kids were super surprised of their trip away! I can't complain about anything...not even the -30c weather I returned home to!